I don’t know if a perfect album exists. But I have yet to find the album that I consider perfect. There’s always a point where I’m more or less listening out of courtesy to get from the section I really care about to the one or two songs at the end that I want to hear (Important PSA: The final song on an album can, indeed, make or break it). Rapper B.o.B’s second full-length album, “Strange Clouds,” is a perfect example of this—pretty much everything after “Out of My Mind” is inconsequential unless I’m really in the mood to finish it out. Even my favorite band in the entire world, Circa Survive, has yet to put out what I consider a truly perfect album— “Juturna” comes really close, though. Another contender is Lorde’s “Melodrama” because I hear her growth as an artist and a vocalist, and I feel like every song is exactly what she wanted it to be—I just wanted most of them to be longer! But when I really search my soul, there’s one album that comes the closest to perfect a single volume of sound possibly can. 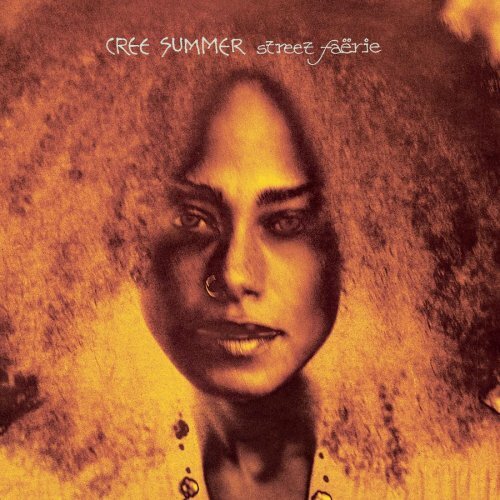 And that album is “Street Faerie,” by Cree Summer. Those who know Cree Summer know her as the voice behind many animated characters from childhood—most notably Suzie from Rugrats and Numbuh 4 from Codename: Kids Next Door. And that was how I knew her as well, until my dad’s love for Lenny Kravitz brought her into my life in a new way—as a recording artist. “Street Faerie” is the only album Cree released, and while that will forever haunt us all, I’m so glad she graced us with this taste at least. A mix of poetry, folk, rolk, and R&B, this is an album that hums, moans, breathes with life. I actually spent years away from this album. Introduced into my listening repertoire as a teen, I eventually lost my copy—because I owned physical CDs and still do—and switched computers enough times for it to disappear from my iTunes. It’d pop into my head every now and again, but I got so deep into my alt/experimental rock world that I was never really motivated to seek it out again. I don’t remember what brought me back. I probably added a song from the album to a Spotify playlist I was building and thought, “Hey, it’s been a while.” Whatever it was, I pressed play, and something broke open inside me. I’m not exaggerating to say that returning to this album was like a religious experience. I’ve always had a very visceral relationship with music; it is my most private, personal thing. And hearing this album again was like plucking that string and feeling the vibration in my blood. It lit up my emotions like a Fourth of July sparkler. I can’t talk about this album without discussing the sheer poetry of it all and the almost voyeuristic nature to the content. When I listen to these 13 songs, I can hear so many questions being asked of a blank page: What do I want to say? What is spurring my creative soul today? What dirty, rotting, oozing thing in life do I want to turn into something more? One of my favorite songs on the album, “Fall,” reads like a poem about giving up all of yourself to nourish someone who doesn’t reciprocate. But it’s literally just about a tree and what happens during autumn when the leaves begin to make their slow, fluttering descent to the ground. I love that! It’s this amazingly creative thing with the simplest story, but the way it’s delivered is what gives it more, gives it weight and purpose. In recent years, I’ve always gravitated the most toward music that feels deeply personal. It’s part of the reason why I love Circa Survive—lead singer Anthony Green always writes with his demons on display. And that kind of lyric just lends itself to poetic moments. One of my favorite Circa songs, “Semi-Constructive Criticism,” has that claim mainly because of a single phrase: “branches and petals of paper and metal.” It took root in my mind and blossomed to the point that, in college, I actually had a friend create a representation of it on my bedroom wall with papier-mâchéd newspaper and metallic-painted fake leaves. But as much as I love Circa—and it is a deep, life-altering love—I don’t think I can say that there is an album of theirs that grabs me poetically in the same way that the entirety of “Street Faerie” does. It’s as if Cree took her diary, turned the entries into poems, and then turned those poems into songs. And the result is something I’ve never heard anywhere else. Part of my love stems from the fact that I wish I’d written this album. For starters, I’d love to follow Cree’s lead with the one-and-done model because I’m definitely too fragile for the music industry. If having thick skin is a requirement for survival, I have . . . no skin. So if I could put my love of music on display in a controlled way where I have limited interaction with the actual industry part, that would be a dream. But, all anxiety-related motivations aside, I can’t help but wish my name were on this album because it feels so distinctly, uniquely Cree. The surety in who she is—even when that person is made of chaos—is beautiful, intoxicating, vicariously freeing. There’s so much about myself I’m still trying to figure out, and to be able to explore that in the medium that puts not only words but sound and even silence behind it would make my life. I can’t deny that it would make my mom’s life too. She would die from happiness and pride if I made like Cree and released an album unto the world. The singer-songwriter vibe was a vision she had for me for a long time. To my memory, it started in high school, when I was taking guitar lessons and performing in front of the other parents, sandwiched between elementary schoolers and kids my age who could wail on their instruments. But I was the only one singing. So I got comments like “When are we going to see you on American Idol?” I’ll call you from the corner of Never and Yeah Right with the news. Still, Mom liked to entertain the idea, and I think this album is her idealized result. On more than one occasion, she’s asked me to record myself singing along to a song because she knew that my voice would “blend” with Cree’s perfectly. So, I’ve had that gentle push in the back of my head, willing me to connect, because someone who should know me better than most hears me in this album. It’s more than Mom motivation though. A lifelong love of singing has often brought with it the question of how much I’m actually feeling the emotions driving the artists I listen to. After all, it’s one thing to simply parrot the words back and another to imbue them with your own take. I might be able to match pitch better than some, but to be able to match the frailty, the rage, the lust, the joy . . . That’s where the true craft lies. And when I’m singing along to Cree, I don’t have to worry about being fake. It feels like everything in me has just been waiting patiently for the album to start playing so it can finally experience some release. There’s an undercurrent of weariness to every song that I’m all too equipped to pick up on; I feel it in my ribs, gasping in my lungs, when I sing along. It’s too physical to be faked. Perhaps that’s why Cree only released this album. Feeling this intensely and putting it all on the stage, in your music, for years would have to kill you in the end, right? Now, all this has been a very roundabout way of saying that the album feels like me. The crazy part is that this doesn’t make a whole lot of sense when you stop to think about it. Because Cree devotes a lot of space to acknowledging and honoring her heritage—an ethnic background that includes black and Native American—and this is staunchly an area of my life that I’ve tried to avoid. It would seem that no matter where I turn, I am not allowed to simply exist because I am a black person. Everything about the way the world works tells me that I have to be one thing or another. And that exhausts me. So, while I may have taken on my mom’s preference to being a “black” woman over an “African American” woman, I decided long ago not to make my heritage the deciding factor of my identity. Listening to “Street Faerie,” though, it’s like I can wear Cree’s pride. She feels it so deeply and loudly. It reverberates not just in the songs directly dedicated to the subject of her racial and ethnic identity, like “Naheo” and “Curious White Boy,” but in the music itself, in the way she sings. By singing along, I feel like I can safely co-opt that self-acceptance without worrying about the ramifications. And, honestly, it’s a great feeling. I put my soul into it—probably because I know the experience will only last as long as the album does. So I relish in it, bathing in that #blackgirlmagic, knowing that, for just a little while, no one’s going to take it away from me. I guess Cree is my James Brown—encouraging me to be black and proud. That’s how I know “Street Faerie” is damn near perfect: it allows me to be so many things. In the space of an hour, I am poetry; I am beautifully damaged goods; I am a singer-songwriter; I am an unapologetic black woman; I am free. It’s very rare for me to experience so much from a single album—hell, even from a single artist—so it’s obvious there’s magic at work here. When I hear the opening chords to “Revelation Sunshine,” the first track, I just know. I’m home. But more importantly: I’m me. Completely. Weird Al has been a well-known musician and parody songwriter for several decades, but it seemed like his last really big album was destined to be 1993’s ‘Bad Hair Day.’ Then something amazing happened. He announced that he would release one last full-length album in connection with eight, yes eight music videos coming out a day apart from each other. If you want to get a sense of why You Talkin’ U2 to Me is the best Podcast, please visit the iTunes reviews for the new U2 album, Songs of Innocence. There you’ll find such gems as high-quality rock and roll music and excellent album, C+. It’s these sorts of in-jokes that make You Talkin’ U2 to Me so entertaining. Scott Aukerman and Adam Scott (Scott and Scott) treat their discussion of all things U2 more like a hangout, where two bros rhapsodize about their favorite albums from yesteryear. The tribute album. It’s a great idea in theory, and a way to pay homage to a legendary artist, but usually the greatness stops there. The number of horrific tribute albums certainly outnumber the good ones, especially in the country genre, where the purveyors of pop country continue to commit atrocities against the songs of Nashville’s past. The latest EP from Shooter Jennings, Don’t Wait Up for George is not one of those albums. It’s a collection of two new Jennings-penned songs as well as three George Jones classics, and pays a loving tribute to The Legend. Some artists refuse to let themselves be pigeon-holed by musical genres. Tom Freund is one of these artists. The former bassist for the Alt Country outfit The Silos keeps good company too—often collaborating with Ben Harper, who lends a guest vocal on the opening track “Angel Eyes”. “Angel Eyes” is a love song to life in L.A. It speaks of the city and her resilience. Despite reoccurring fires and earthquakes that plague the city there’s always a party somewhere. This track set the mood and a theme for the entire album. Often when an album is released after more than a year and a half of anticipation, the payoff is lackluster, but Lazaretto lives up to the hype. This is Jack White’s second solo release, the follow up to 2012’s Blunderbuss (which was named the top album of that year by Drunk Monkeys). Like with Blunderbuss, he continues to move farther away from the minimalist approach that defined his work with The White Stripes and The Dead Weather. Turn Blue, the latest release from the Akron, Ohio duo The Black Keys, might be their most sonically diverse album yet. The band’s usual straight-forward blues-inspired rock takes a backseat to something more interesting. This collection of songs rises above the “verse-chorus-verse”, radio friendly tracks on their previous albums. There weren’t a lot of reasons to keep your radio turned on in 2013, until a 16-year-old New Zealander stormed the charts with a simple hook, ethereal backing vocals, and a giant middle finger to pop pomp and overproduction with her gorgeous single “Royals”.